Ann Sheffer is among Westport’s most avid arts advocates. Her support of all mediums — visual, performing, classical, new — is abiding and true. So it’s very fitting that Ann’s latest project involves both an art gallery and the Westport Country Playhouse. 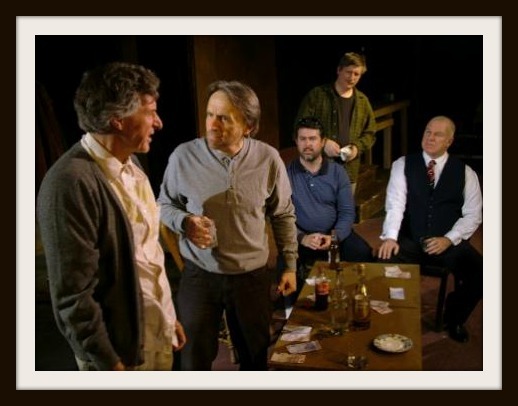 Actually, it’s a gallery at the Playhouse. 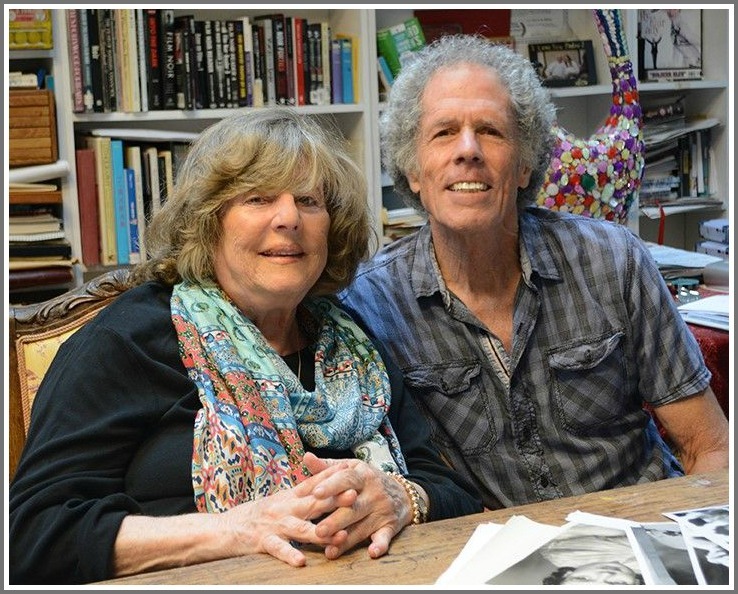 This Saturday (November 24, 5 to 8 p.m.), the barn next to the theater welcomes “Amazing Grace.” Noted Westport painter/illustrator Ann Chernow and famed graphic artist Miggs Burroughs offer dozens of mixed media images, photos and oils of real and invented people, from life’s shadows. It’s the gallery’s inaugural exhibit. It opens in what is already called the Sheffer Studio Space. The name honors Ann and her family. As a child, Sheffer’s grandparents and parents took her to the Playhouse. She still recalls sitting in those red seats, for Friday afternoon children’s shows..
At 15, she became an usher. She continued serving the Playhouse long after graduating from Staples High School in 1966. Today, she’s an honorary trustee. Sheffer has known and admired the 2 artists featured in this first show for decades. Chernok’s work has been exhibited all over the world. Her Playhouse art focuses on actress portraits from American film noir of the 1930s and ’40s. Of course, many film stars also appeared on the Playhouse stage. Burroughs — who graduated from Staples a year before Sheffer — has designed Time magazine covers, a United States stamp, Westport’s flag, and hundreds of logos for commercial and non-profit clients. His lenticular photos line the Main Street and railroad station tunnels. His Playhouse exhibit includes 24 male criminals. 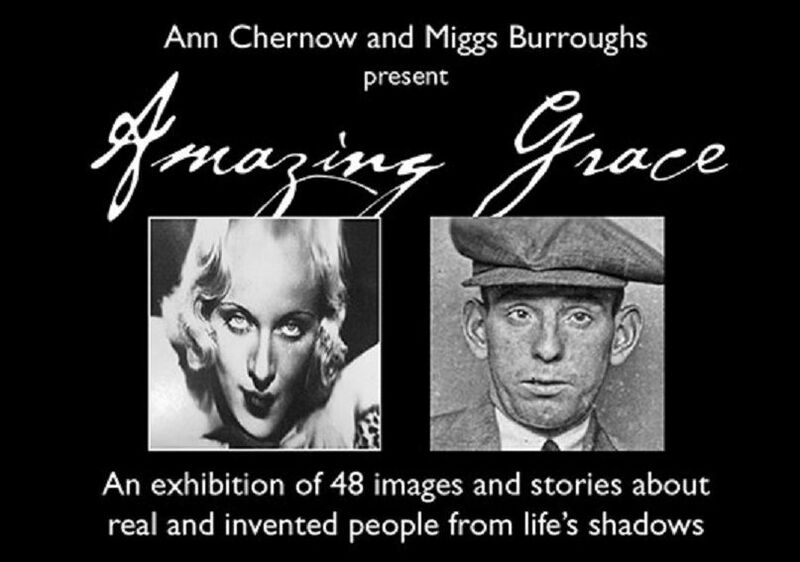 A sample of Ann Chernow’s work (left), and one by Miggs Burroughs (right). Westport has long been known as an arts community. Next Saturday, we celebrate that heritage — in all its forms. The number of Staples graduates who go on to careers in the arts is astonishing. From Eric von Schmidt and Christopher Lloyd, through Brian Keane and Bradley Jones on through Ari Edelson, Daryl Wein, Gina Rattan — and the hundreds more whose parents will respond wrathfully because I did not name them — Westporters make their marks as actors, artists, musicians, choreographers, stage managers, cinematographers, sound engineers, and in countless other ways. But they’re not the subject of this post. Thousands of other Westport students were exposed to music, visual arts, theater and literature, then moved on to careers in law, medicine, technology, blogging, insider trading, and god knows what else. Yet they still remain involved in the arts. They act in community theater. Serve on symphony boards. Sing with a church choir. Etc., etc., etc. Every October, the Westport Arts Advisory Committee honors notable and rising young “artists” (in the broad sense of the word). The brochure — detailing new and past awardees — makes for fascinating reading. In 2013 — for the 20th anniversary of the awards — the WAAC wants to include as many “non-professionals” as they can find. That information — recounting the impact the arts had on these bankers, engineers, CEOs and whatnot long after Staples — could be even more intriguing than the usual stuff. First, though, the committee must find them. If you — or someone you know — is still involved in the arts, in a non-make-your-living-at-it way, email Ann Chernow at ctfinearts@sbcglobal.net, or Sandy Lefkowitz at homehome@optonline.net. And, just for fun, click “Comments” and let “06880” readers know too. We shouldn’t have to wait 17 months to hear about the arts’ influence on non-artists’ lives. You’re sure to hear more about it in the weeks ahead. But for now, save the date: Sunday, November 8, 7 p.m. at Town Hall. That’s when Westporters can see a remarkable new film: “Years in the Making.” In just 66 minutes, it pays homage to Westport’s heritage as an arts colony. It honors 50 Westport and Weston artists, in mediums ranging from oil and charcoal to sculpture, photography and printmaking. But it does far more. All of the artists are over 70 — some well into their 90s. But as they talk about their art and their lives — their educations, their careers, their creative processes and the lessons they’ve learned from it all — they serve as inspirations for us all. This is a film about Westport and art, sure, but it’s also about the power of passion, and the potential we all have to keep getting better at whatever we do, every day of our lives. Filmmaker Martin West — with great help from Ann Chernow, Kristin Rasich Fox and Ada Lambert — has created a work that anyone can relate to, and everyone should see. There’s more to come — the finished product will include separate hour-long interviews and studio tours with each artist (50 DVDs in all) — but for now, mark your calendars for November 8. “Years in the Making” has been years in the making — 90-plus, in some cases. The wait is definitely worth it.